As the proud owners of a popular B and B in Newquay, Cornwall, we’re delighted to say there’s more than our epic beaches, world-class surfing, lively culture and excellent night life to tap into. 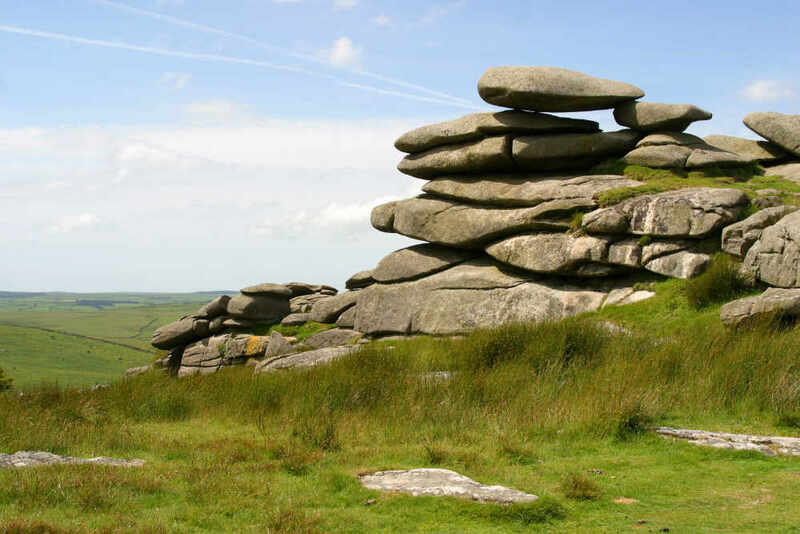 We’re also just 30 miles along the scenic A30 from Bodmin Moor, a forty five minute drive that takes you through some of Cornwall’s most fascinating and rugged landscapes. So what does beautiful, ancient Bodmin moor hold in store for our visitors? Bodmin Moor is wonderfully bleak, empty, windblown and wild. Formed from ancient granite and covered with heather, it is still grazed by wild moorland ponies. Rough Tor and Brown Willy are the stars of the show as far as altitude goes. The tors began life 280 million years ago, when the molten granite beneath the earth’s surface was forced upwards then cooled and solidified. The softer rock surrounding the granite has worn away over millennia thanks to water and wind erosion, but the harder granite tors remain, standing out from the landscape, full of sinister drama. Don’t miss the Cheesewring rock, eroded by the wind over millennia into a series of strange formations. The moor was a surprisingly popular place to live in times past, evidenced by more than 100 Bronze Age hut circles on the slopes of Rough Tor alone, plus various Neolithic Tor enclosures, the Trippet Stones and the Stripple Stones Henge, the Jubilee Rock and King Arthur’s Hall. There are impressive Bronze Age cairns to wonder at on Brown Gelly, and the remains of more than fifty Neolithic hut circles on Leskernick Hill. Then there’s the tiny village of Minions with the nearby Rillaton Barrow, Hurlers stone circles, and Daniel Gumb’s Cave. Super-spooky Dozmary Pool lies just South of the A30 at Siblyback Lake, home of exceptional inland watersports as well as tuition, equipment hire and a basic camping site. Dozmary Pool looks and feels creepy, and some think the legendary Excalibur, King Arthur’s sword, still lurks beneath the strangely still waters. And the infamous Jamaica Inn, star of the book of the same name by Daphne du Maurier, is also on your radar. No wonder there are so many ghost stories allied with Bodmin Moor. The same goes for the Beast of Bodmin, apparently a large, dark cat-like animal that has been spotted by many a walker. If you spot it, take a photo… then hide! If you like your Cornish landscapes wooded and secret, you can’t beat the lovely Cardinham Woods, a full six hundred and fifty acre of forestry commission woodland including countless gorgeous walking trails and fat tyre cycle paths. Walkers also enjoy the Golitha Falls, between Bolventor and St Neot, as well as Mark Camp’s 60 mile long Copper Trail, effectively a magical ten day tour of the entire moor on foot. Last but not least if you fancy joining the Camel Trail, you can pick it up at the village of St Breward, the route’s starting point. There are ruined granite quarries all over the place, plus old tin and copper mines. And while a lot of the moorland is owned privately these days, since 2000 much of it has been made into designated open access land, which means you’re free to roam as long as you follow the countryside code. All this and more awaits you in our fantastic county, well worthy of its title as one of the nation’s favourite holiday destinations. Come and stay with us soon and enjoy our excellent Newquay B&B town centre location for yourself.